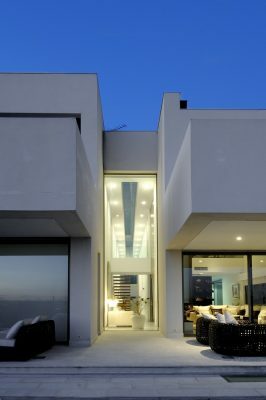 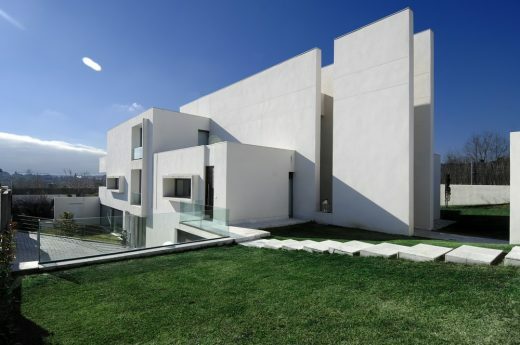 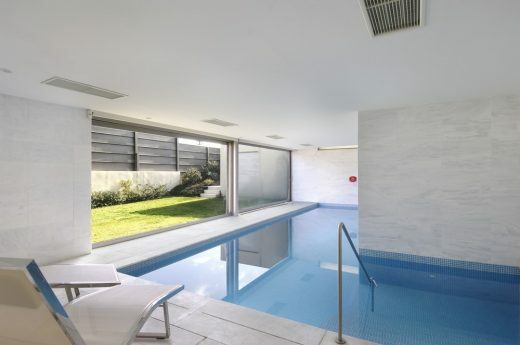 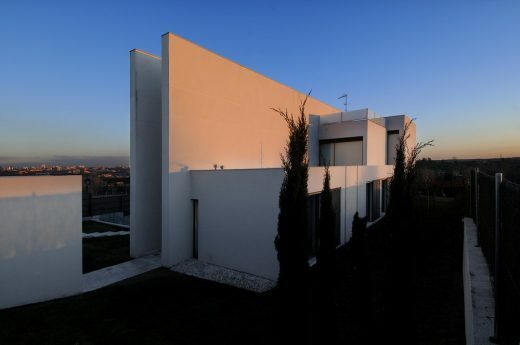 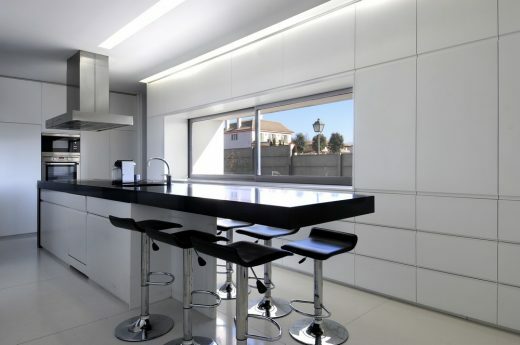 It is a 631,71-square-metre house located on the outskirts of Madrid, in the exclusive residential neighbourhood of Aravaca. 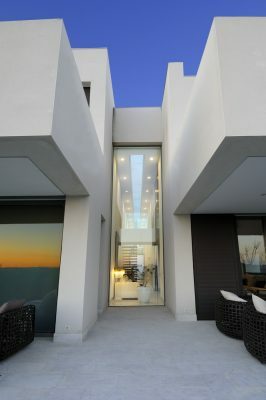 Two parallel planes in a totally vertical line go through the construction as a double architectural skin that turns into the residence´s leitmotif. 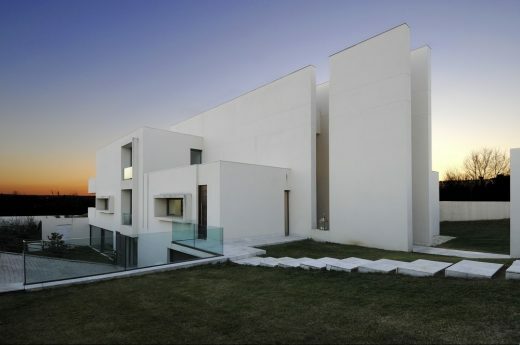 The house is developed around this axis by a group of linked cubes making a harmonic series of volumes. 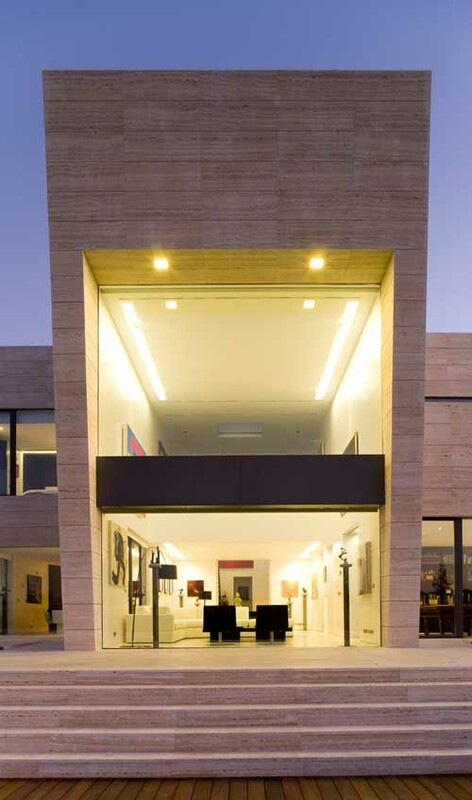 The most public area with the kitchen, the dining room and the lounge are on one side of this architectural passage and on the other side there are four suite bedrooms, one of them for guests. 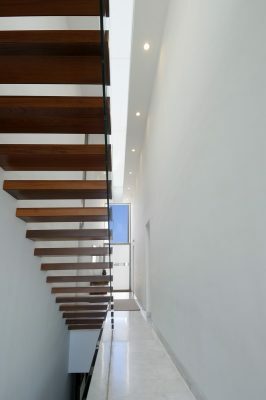 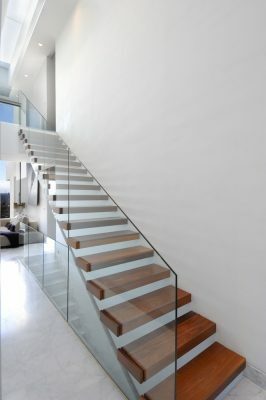 A sculptural staircase leads to the upper floor where the owners have the main private rooms. 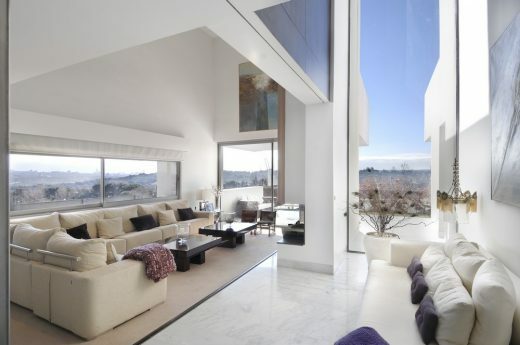 On one side there is a big size bedroom with a large bathroom and on the other side there are a study and a library open to the lounge through a double height. 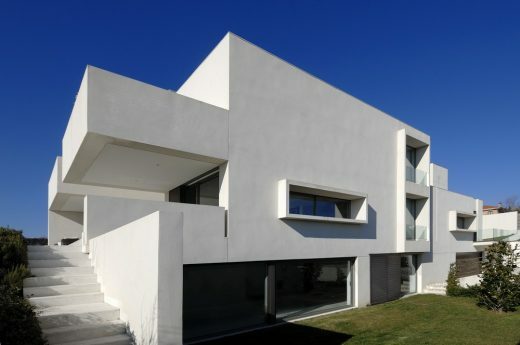 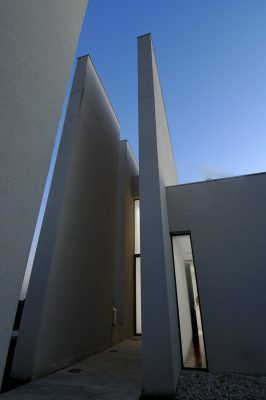 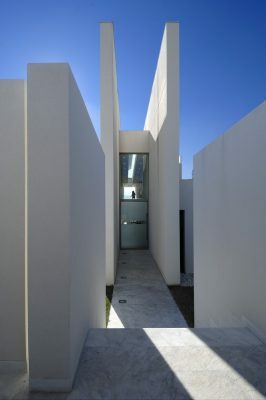 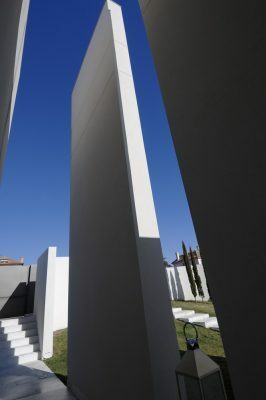 Exterior walls are finished with white single layer mortar that accentuates the purity of forms and architectural lines. 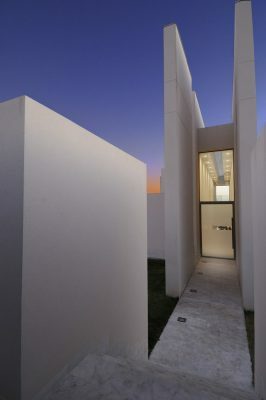 Inside floors are of white ‘Macael’ marble in the ground floor and wood in the upper floor. 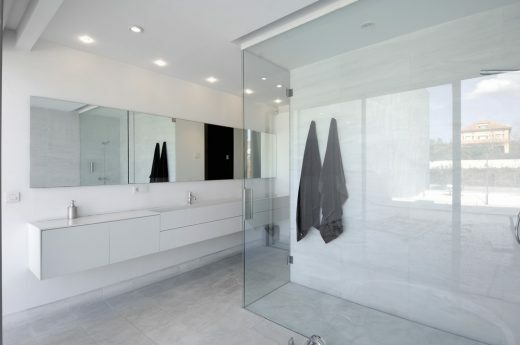 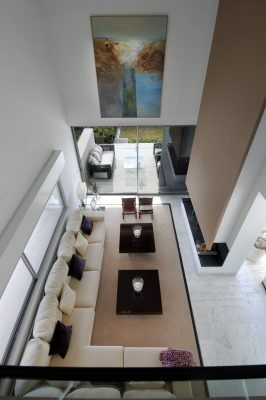 Colour white invades the whole house reflecting plenty of light. 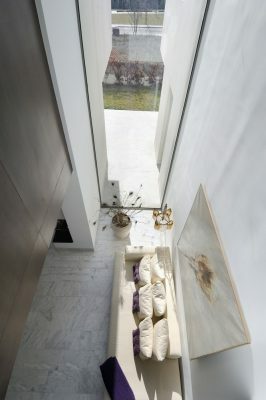 A warm decor halfway through traditional and modern makes a perfect combination between content and container.